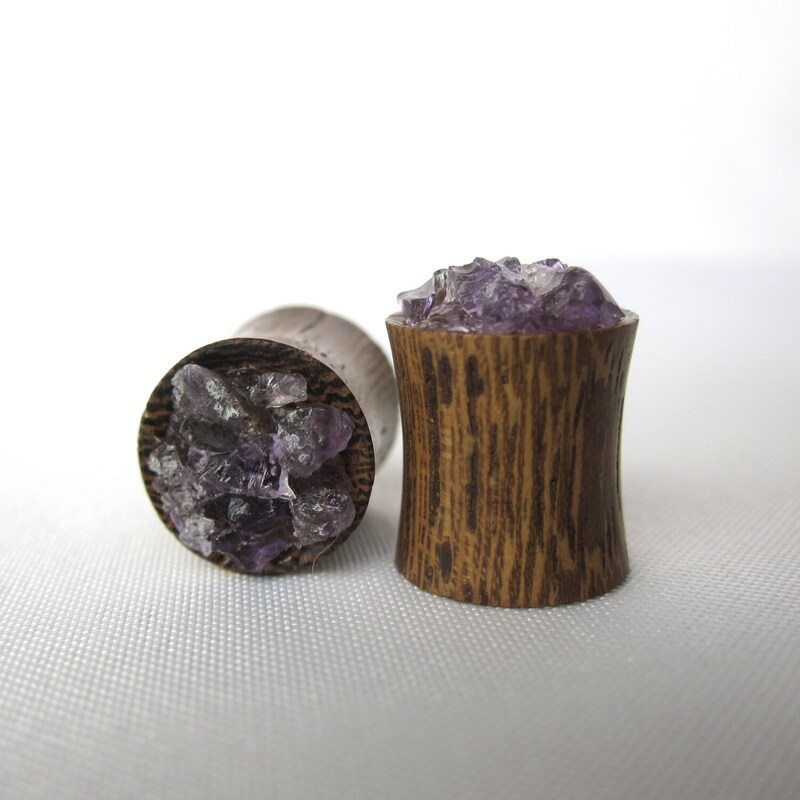 These unique plugs are a way to carry a bit of amethyst around with you all the time. 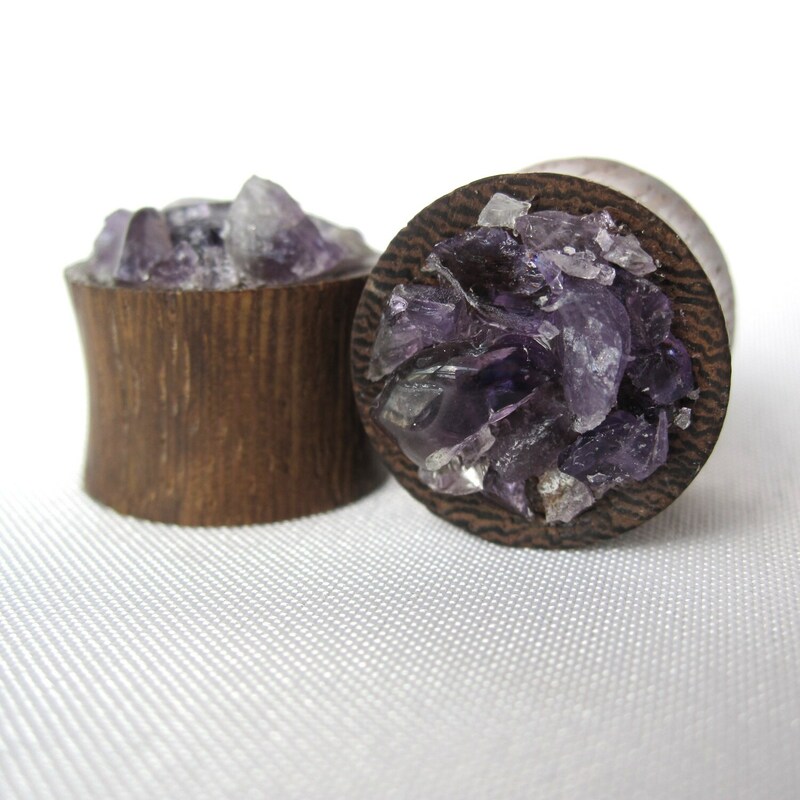 Amethyst, the birthstone for February, is said to provide spiritual protection, promoting inner peace and mental clarity. 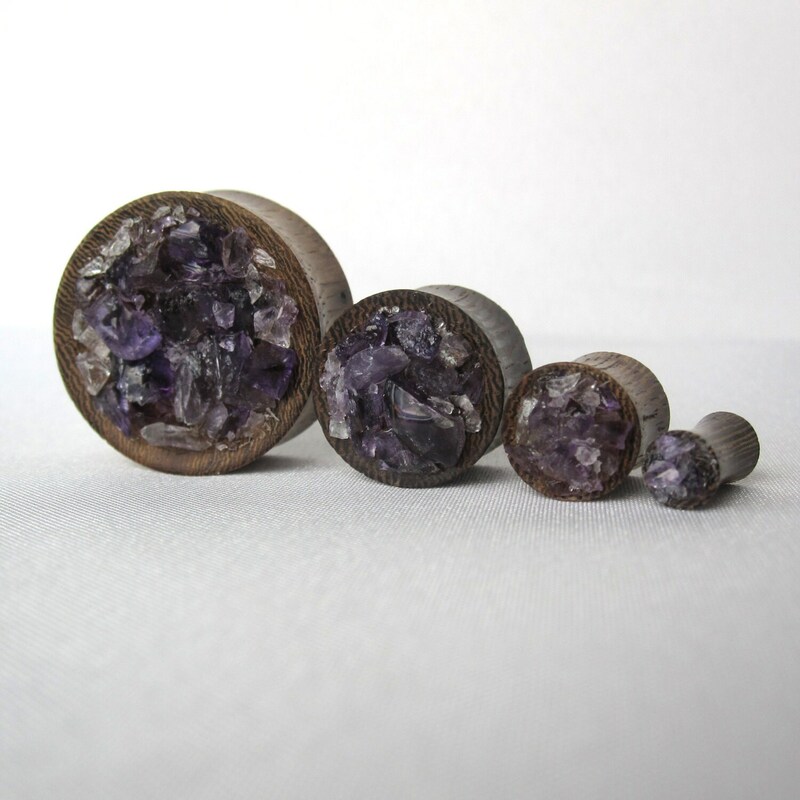 Amethyst has been valued for thousands of years because of its beauty and healing potential. 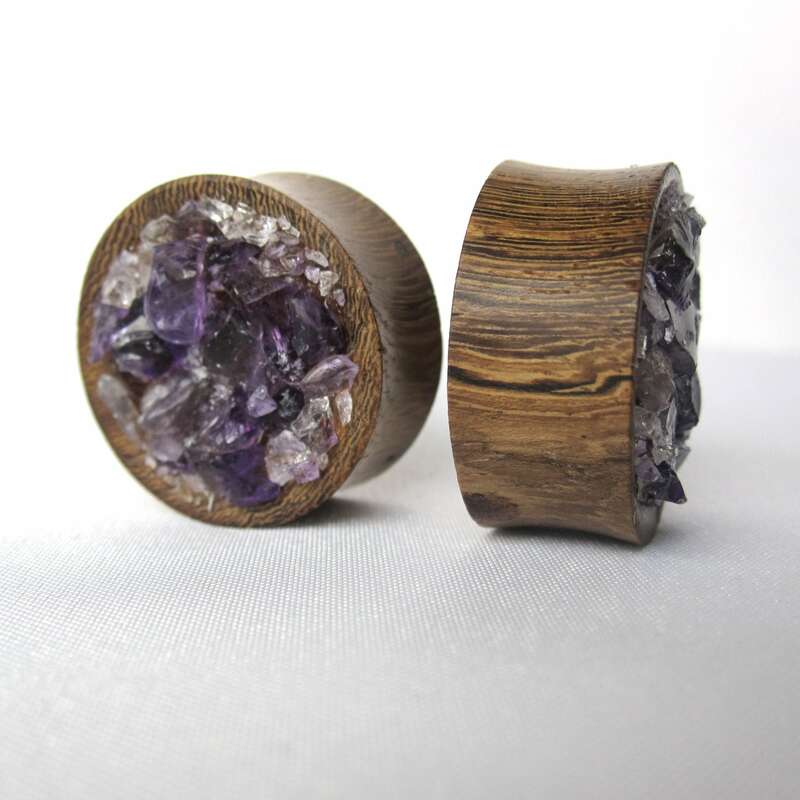 These plugs are made with double-flared organic snake wood bases. The front features shattered bright amethyst adhered to the center. Message me for other stone styles. I can make them in any size from 4g-1" right now- but message me if you'd like options for other sizes! Handle with care, especially during travel- they are strong but not unbreakable! Keep away from water and intense heat. These are beautiful! Thank you so much for the excellent communication and follow up! 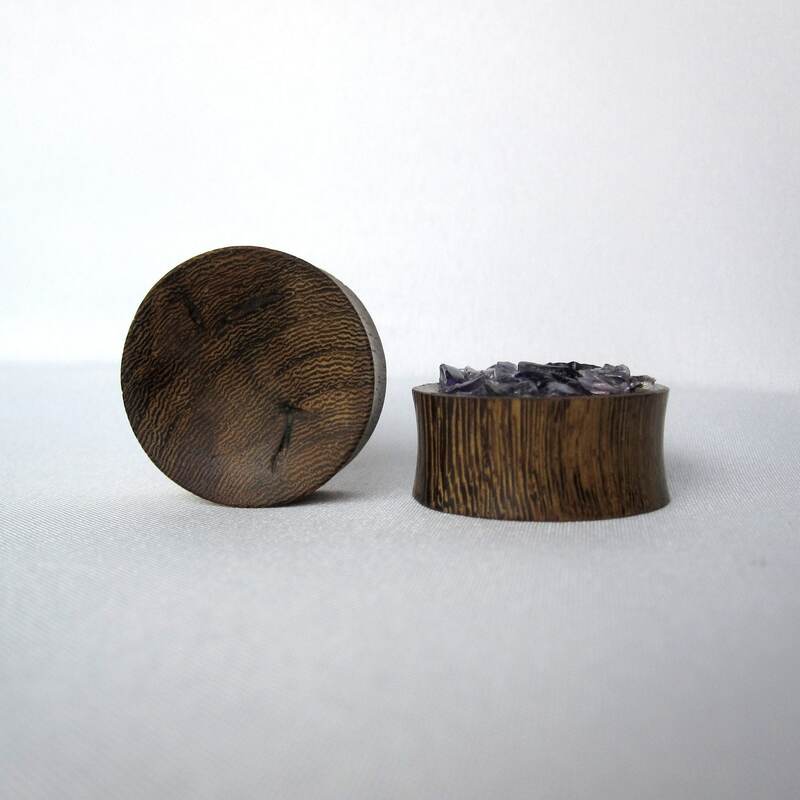 Love these plugs, perfect fit, exactly as the picture shows! Very nice craftsmanship! These are even more gorgeous in person, and super comfy.